The GREEN GHOST that haunted the SEDGEWICK HOTEL was the first entity the GHOSTBUSTERS faced and trapped using their newly-developed equipment. A dirty, destructive, and gluttonous class 5, the most fascinating thing about it is how it has translated into other dimensions. 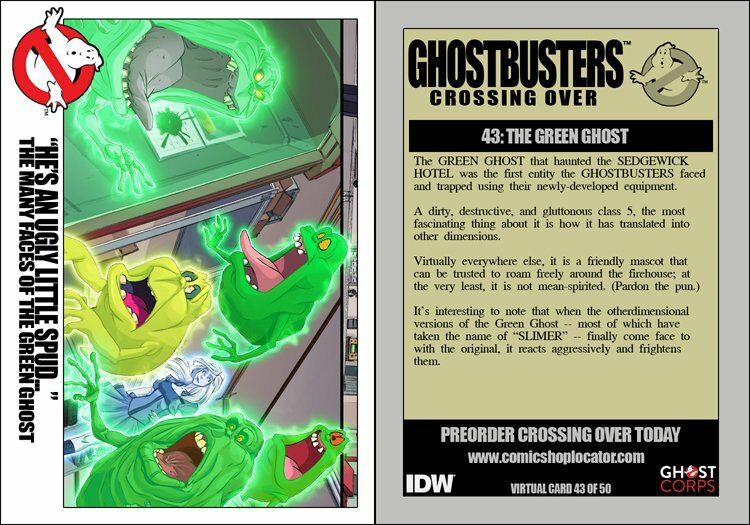 It's interesting to note that when the otherdimensional versions of the Green Ghost -- most of which have taken the name of "SLIMER" -- finally come face to face with the original, it reacts aggressively and frightens them.